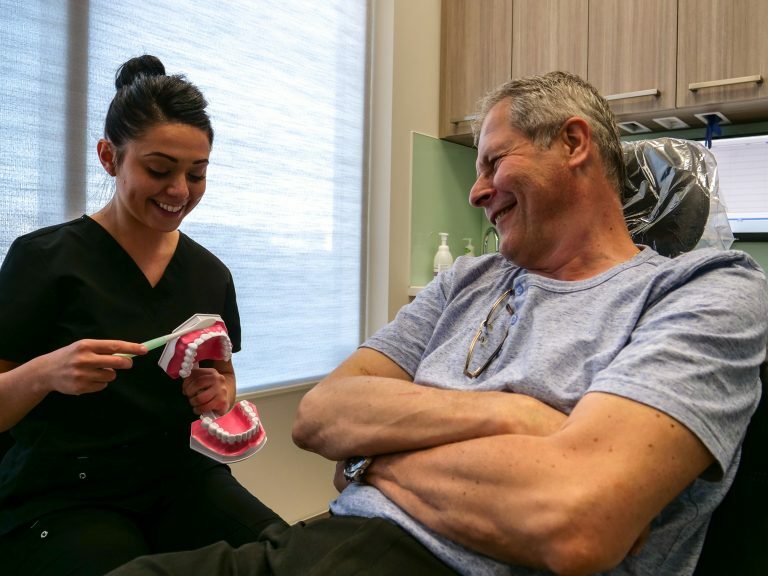 At Parkway Smiles Dental Calgary NW, we provide a varied range of services that can help to keep your teeth in find condition. Over the years, we’ve come to understand that people want to ensure their teeth stay in top condition. That being said, even with a thorough schedule and a strong attitude to cleaning, dental hygiene can still be tough. Little pieces slip through the net, and it can often become a challenge keeping your teeth as clean as you would like. This is why, at Parkway Smiles Dental Calgary NW, we make it easier than ever for you to maintain high quality dental hygiene starting today. Prior to any cleaning, they will conduct a detailed exam of your entire mouth to determine if there are any problems that we should look into. 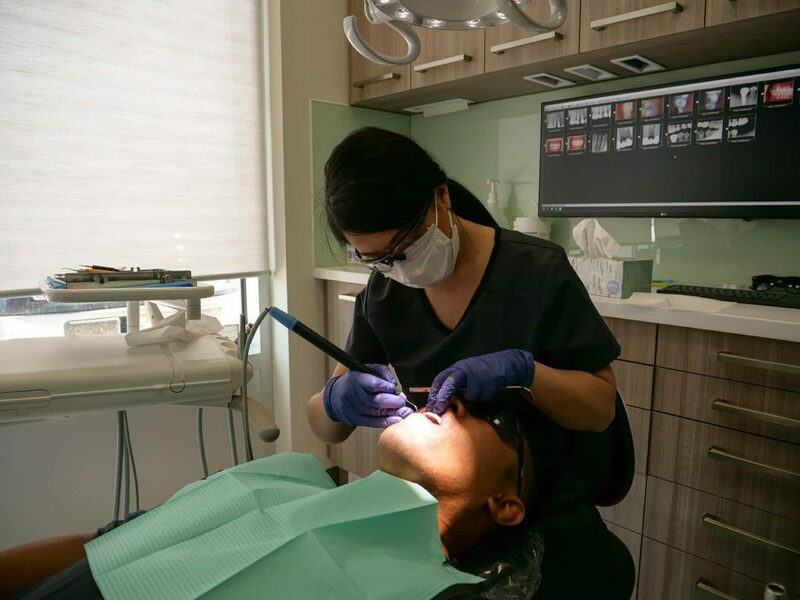 Our dental hygienist will remove any plaque and tartar from around your gum line, as well as in between your teeth with the use of a special tool called a scaling tool. Scaling is more comprehensive than a regular dental cleaning because this it involves cleaning the areas below the gum line. However, this is a critical part of your professional teeth cleaning because it prevents the development or progression of gum disease. The final step in our teeth cleaning process is a fluoride treatment where you flush around a liquid in your mouth for less than 45 seconds so that the fluoride can help protect against cavities and tooth decay in the future. What are some of the benefits of regular dental hygiene? We suggest that you visit your dentist every 6 months so that you can get regular professional teeth cleaning treatments. This will help remove plaque, tartar buildup and lessen staining from your teeth as well as improve your overall oral health. If this sounds like the kind of solution you need, then come and speak to us today. From trying to perfect your teeth for a formal event to just trying to become stricter with your dental hygiene, we have many solutions available for you to use. Let us help you clean your teeth!